For most guys, a midlife crisis means getting a flashy sports car. But an Indiana man chose a much slower vehicle. 43 year-old Javier Villasenor-Arreola, of East Chicago, skipped the Ferrari and went with a forklift. The incident happened on April 30th in New Lexox, Illinois. Mr. Villasenor-Arreola stole a forklift from his ex-employer and proceeded to engage police on a low-speed chase. 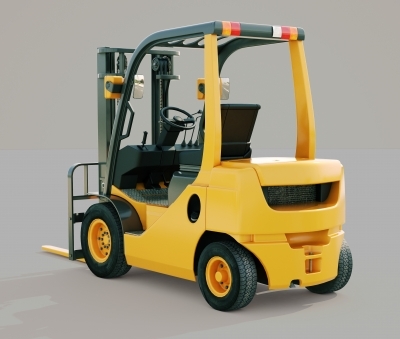 Very low speed, as most forklifts have trouble exceeding 15 miles per hour. Will County sheriff’s deputies were alerted about a theft at the warehouse where Mr. Villasenor-Arreola used to work. On the way to the property, officers were told that the suspect was driving on Illinois Highway in the stolen forklift. The suspect faces a lengthy list of charges, including felony counts of burglary, theft and aggravated DUI, in addition to a misdemeanor count of damage to property and operating a vehicle with expired registration and operating an uninsured motor vehicle. Mr. Villasenor-Arreola was (surprise, surprise) intoxicated at the time of his arrest, confirming once again the equation that forklifts + alcohol = definitely not good. Toss in the anger from being fired a few weeks earlier, and the end result was bad for the suspect – and it could’ve been much worse for motorists and other innocent bystanders. Currently, Mr. Villasenor-Arreola is in the Will County Jail on a $50,000 bond. At Certifyme.net, we’re all about forklifts. Aside from the occasional headline-grabbing story you’ve just read about, proper forklift operation involves steady, consistent, day-in and day-out safety. And we’re the best source anywhere for training. Instead of relying on expensive 3rd party safety organizations, CertifyMe.net lets you save time & money. Our OSHA compliant is used by many companies you’ve heard about, including Harley-Davidson, Siemens, U-Haul and others. For more information about our forklift training (which Mr. Villasenor-Arreola apparently never signed up for), please call us at (888) 699-4800, or check out our contact page. Thanks for reading the CM blog!